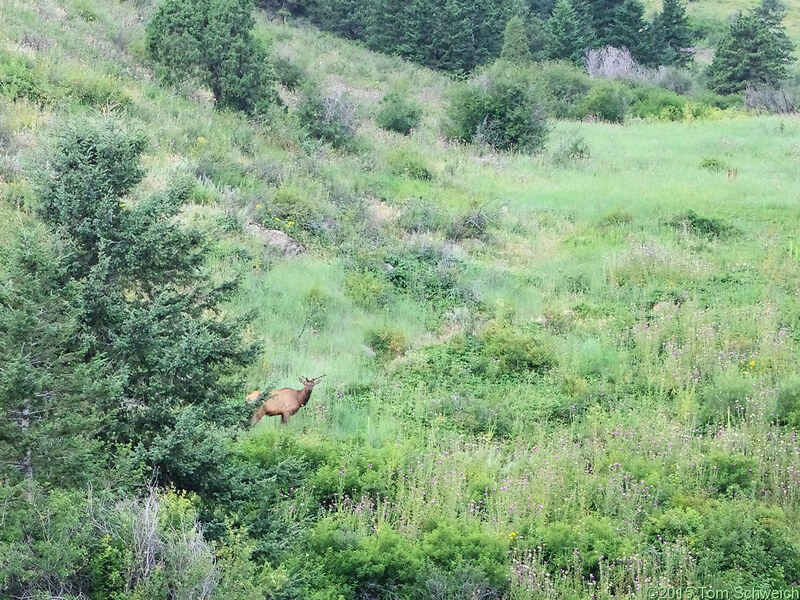 Photo: Elk on lower slopes of Lookout Mountain. Eastern Mojave Vegetation Elk on lower slopes of Lookout Mountain. Field Notes: Friday, July 24th. Other photos about Geography - Jefferson County, CO or Windy Saddle Park.